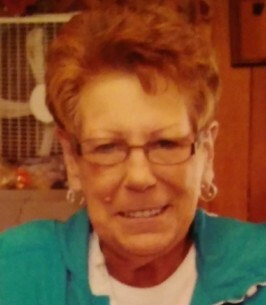 Sharon Proud entered her eternal rest on August 28, 2018 at Circle of Life Hospice in Springdale. She was born May 27, 1945 in Kingston, AR to Glen and Polly Madewell. Sharon married Kenneth Lee Proud on January 17, 1970 in Huntsville, Arkansas. She is preceded in death by her husband. Sharon retired from Lowell Elementary School and Vanzant’s Fruit Market. She enjoyed the outdoors, cooking, and spending time looking for bargains with her friend, Bonnie. Her greatest love was being with her grandchildren and great-grandchildren. She was a devoted mom, sister and grandmother. Sharon is lovingly remembered by her daughter, Jessica Hopkins and her husband Frank of Chelsea, OK; her son, Joshua Proud and his wife Lori of Springdale; two brothers, Alfred Madewell and his wife Mary, and Danny Madewell and his wife Kelley; five sisters, Mary Main and her husband Lawrence, Ava Franklin, Nancy Dixon, Brenda Jo Madewell, Susie Edens and her husband Turl; five granddaughters, Louanna, Alanna, Deanna, Avery and Lyndi Jo; one grandson, Langston; six great-grandchildren and a host of other relatives and friends. Visitation will be 5:00-7:00 p.m., Friday, August 31, 2018 at Westfield Chapel Funeral Home, Springdale. Funeral Services will be 10:00 a.m., Saturday, September 1, 2018 at Westfield Chapel. Interment will follow at Friendship Cemetery in Springdale. In lieu of flowers Sharon requested donations be made to Meals On Wheels, 203 Park St., Springdale, AR 72764. To send flowers to the family of Sharon Proud, please visit our Heartfelt Sympathies Store. We are so sorry for your loss. We will miss her at Van Zandt's. Sharon always had a smile, and she always knew which peaches were best!